Another year, another set of upfronts. 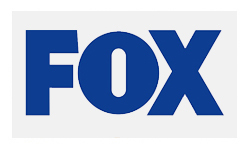 Fox is a channel I approach with considerable nervousness, I’ve never forgiven them for cancelling some of my favourite shows (Wonderfalls and Firefly for example). But on the flipside, they’re also the channel that actually commissioned those series, and recently they’ve actually given shows like Dollhouse and Fringe more chances than maybe their ratings deserve. The Chicago Code – This never really got enough viewers for it to survive and another Shaun Ryan show bites the dust. I liked the pilot well enough, but am not sure if I’ll bother picking up the rest of the series now. I was more upset about the loss of his other show, the superb Terriers. The Good Guys – Despite the dream pairing of Bradley Whitford and Colin Hanks, this wasn’t my kind of show, and the ratings would seem to indicate it wasn’t other people’s either. Lie to Me – Now this one I am cross about. I feel this show never really got a fair shot with mucked about scheduling and minimal promotion. Tim Roth was superb in this, raising it up above other similar procedurals like The Mentalist. It could have been improved with more development of the supporting characters, but this is one of only very few cancellations that I have any kind of strong feelings about. Also off are Human Target (not awful, but just a bit crappy), Breaking In (Christian Slater thing), Running Wilde and Traffic Light (comedies) and Lone Star which is probably the winner of this year’s “critics’ hero”to “ratings zero” award. There are no surprises that Bones and Glee are back, nor the animations that I have no real idea about but see people talking about a lot (American Dad, Bob’s Burgers, The Cleveland Show, Family Guy and The Simpsons). Also Raising Hope is back which I hear good things about. Fringe’s renewal came a bit of a surprise to everyone, and I actually really appreciate Fox’s commitment to this show despite it’s not great ratings. I wouldn’t have thought there’ll be another chance next year, so I hope the writers take the opportunity to produce an amazing season that concludes the story. House will also be back, but due to massive budget cuts it will be without Cuddy (news story) – which as far as I’m concerned may actually improve the show. It will almost certainly be the last season of the show and I’m not overly devastated about that, hopefully the writers will make the most of the opportunity to go out on a high. Terra Nova – The long anticipated and rather spectacular looking Stephen Spielberg action adventure thing. Looks like an extended Jurassic Park. I can’t wait. Alcatraz – JJ Abrahms’ new mysteryish show. It’s starring Lost’s Jorge Garcia and Jurassic Park’s Sam Neill and the trailer efficiently hooked me in. Don’t get overly excited, it’s not on until mid-season. The Finder – the Bones spinoff which was backdoor piloted got an official pickup. It’s got some potential, but also some really irritating tropes (bloody awful accents, know it all characters, intellectual tough guy) that will need toning down. Another midseason. Plus a couple more animations (Napoleon Dynamite and Allen Gregory) and two utterly hideous looking comedies (The New Girl and I Hate My Teenage Daughter). And… The X Factor. Lucky Americans, no reason we should suffer alone I guess.